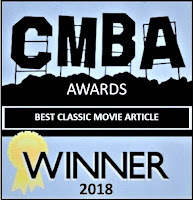 This is my entry for the Classic Movie Blog Association's Fall 2017 blogathon, Banned and Blacklisted, for links to all contributions, click here. 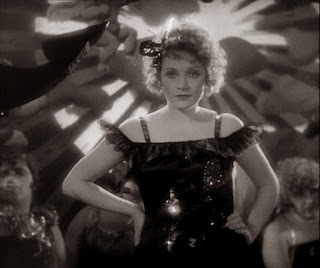 In 1930, 29-year-old Marlene Dietrich created a sensation with her breakout performance as cabaret temptress Lola-Lola in Josef von Sternberg’s The Blue Angel (Der Blaue Engel), the tale of a straitlaced professor bewitched by a low-rent vamp. It was Germany’s first sound picture, produced in both German and English versions, and made for Ufa, the country’s then-eminent film production company. Brand spanking new toast-of-Berlin Dietrich departed that city for Hollywood the morning after The Blue Angel's premiere. She was signed by Paramount with the hope she would be its answer to MGM’s Garbo, and she quickly rocketed to worldwide fame, earning a Best Actress Oscar nomination for her next performance, in Morocco (1930). Dietrich would stay in Hollywood, go on to apply for U.S. citizenship, and eventually achieve international stardom that would last until the end of her long life. Marlene Dietrich’s departure from Germany in 1930 would be serendipitous in more than one way. Germany had been struggling since its 1918 defeat in World War I and the ratification of the punishing Treaty of Versailles in 1919. The Great Depression that began making its way around the globe in 1929 would further destabilize the country, doubling already high unemployment, and pitching the country into profound economic and psychological despair. This grim situation would help propel the rise to power of a once insignificant political faction, the fascist/racist/Anti-Semitic National Socialists, also known as the Nazis. By September 1930 the Nazi Party had become the second largest party in the German Reichstag (parliament). 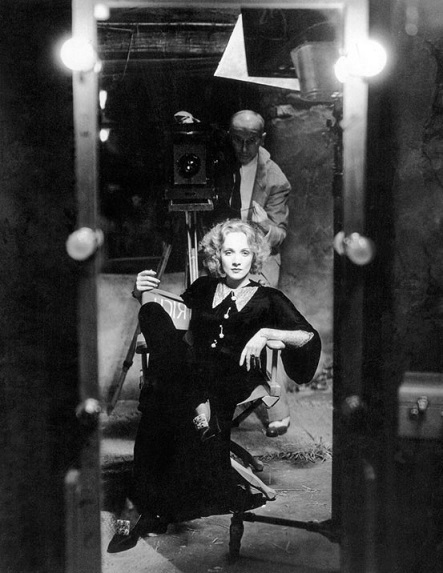 Dietrich and her director/mentor Josef von Sternberg were long gone and far away in Hollywood when the Nazis took control of Germany in January 1933. Under the Third Reich, the business of making films would very soon be consolidated. All aspects of film production were brought together under Joseph Goebbels, head of the Reich Ministry for Public Enlightenment and Propaganda, who believed movies were, “the most modern and scientific means of influencing the mass.” Many Jewish, politically left-leaning and independent-minded actors, screenwriters and filmmakers hastily exited the country; some who did not move quickly enough would perish. Those who were deemed racially and politically acceptable and were willing to work with the Nazis remained. 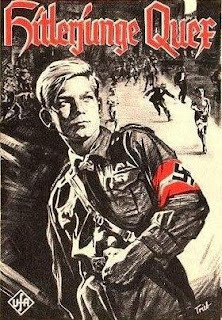 Though the majority of German films produced from 1933 – 1945 were distracting light entertainments, many others promoted Nazi dogma and nationalism. 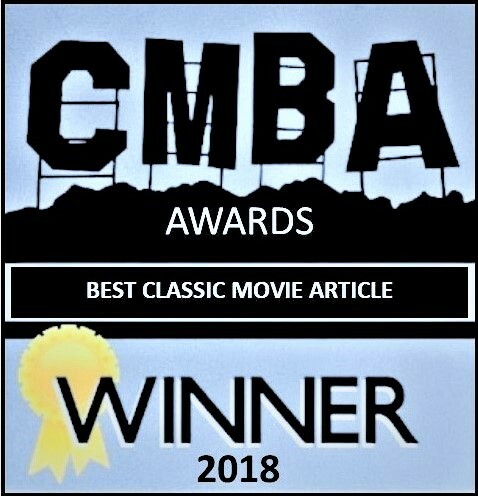 Among the latter were Hitler Youth Quex released in 1933, a film that glorified Hitler Youth while condemning socialists and communists; Leni Riefenstahl’s documentaries Triumph of the Will (1935), extolling the Nazi Party’s 1934 Nuremberg rally, and Olympia (1938), exalting the 1936 Summer Olympics in Berlin; The Eternal Jew (1940), an anti-Semitic pseudo-documentary made following the Nazi occupation of Poland; and The Fuhrer Gives the Jews a City (1944), a propaganda piece depicting the Theresienstadt concentration camp as a near-utopia. 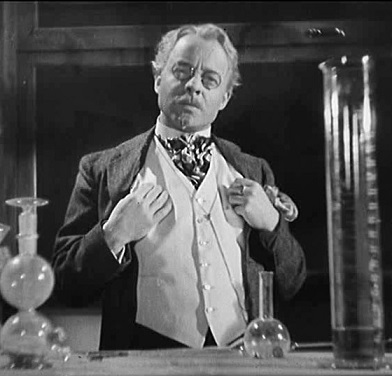 Kurt Gerron, who directed this last film, was also an actor who’d had a featured role in The Blue Angel as the cabaret owner. A Jew, he had lingered too long in Europe and was, in time, apprehended by the Nazis. Gerron directed the propaganda feature with the promise that his life would be spared. But the Nazis would, as they so frequently did, break their word and once the film was finished he was sent to Auschwitz and killed. On May 10, 1933, the most famous book burning in history occurred in university towns across Germany when a Nazi students’ association orchestrated the burning of more than 25,000 books by those judged to be “un-German” authors. Among those singled out was Heinrich Mann, the German writer whose book had been adapted to the screen as The Blue Angel. A proponent of democratic ideals who had become a popular novelist during the Weimar era, his standing would collapse once the Nazis seized power. Mann had just published an anti-fascist novel entitled Der Hass (Hate), and his books, along with those of his brother, Thomas Mann, and others were banned as well as destroyed in the bonfires. Mann had wisely fled Germany before the burnings and eventually came to America. Playwright Carl Zuckmayer had been a principal screenwriter on The Blue Angel. Once the Nazis took over, his work was also banned; though Zuckmayer’s maternal grandfather had converted to Christianity early on, he had, nonetheless, been born Jewish. Zuckmayer also fled Germany and made his way to the U.S. 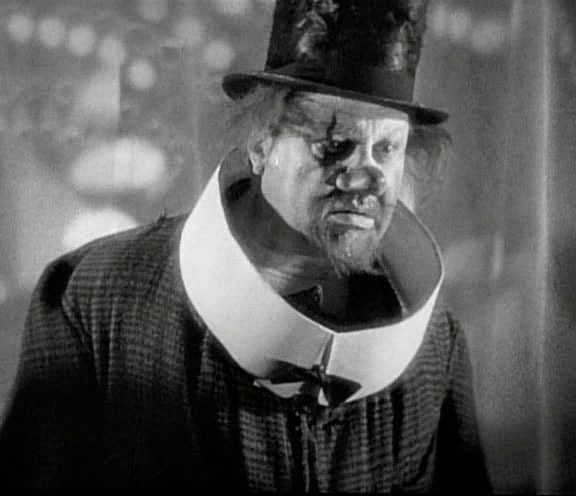 The film’s male lead, Emil Jannings, who in 1929 won the first Academy Award given for Best Actor, stayed in Germany and would continue to make films under the Nazi regime, but this was not nearly enough to keep The Blue Angel from being banned by the government in 1933. Ironically, it has been widely rumored for decades that Herr Hitler kept a copy of the film for his own personal enjoyment and watched it frequently. 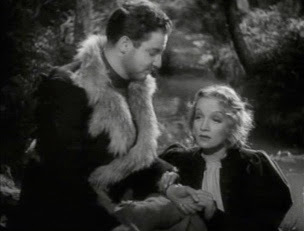 A few years after the Nazis banned The Blue Angel, Marlene Dietrich was in London making Knight Without Armor (1937) with Robert Donat for Alexander Korda’s film company. While there, she was approached by Nazi operatives - some reports have it that Goebbels himself reached out to her - with the offer that if she would return to Germany, she could make any films she wished. But Dietrich was a staunch anti-Nazi and flatly refused. Soon, all her films were banned in her homeland. She would ultimately renounce her German citizenship and become a U.S. citizen. After the Berlin wall fell in 1989, Dietrich left instructions that upon her death she be buried in Berlin, where she was born. And there she was interred, three years later, next to her mother. The banning of Marlene Dietrich’s films in Germany during the Third Reich could have been predicted. She'd rejected what the Nazi’s considered a magnanimous offer, she was vocal in her opposition to Nazism, she would work determinedly on behalf of the Allied powers, and, unhappily for the Nazis, she was also the most prominent German-born film star of that time. But there was another country that took great exception to a particular film of hers, and it was this country’s objection that would take the film out of circulation far beyond its own borders. 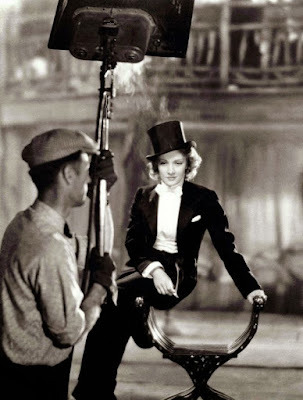 The Devil is a Woman (1935) was the last film Dietrich would make with her mentor, Josef von Sternberg, and while the ban on her films in Germany ended with World War II, The Devil is a Woman would disappear from public view all over the world for nearly 25 years. In 1935, Dietrich and Sternberg, both still with Paramount, would undertake their seventh film collaboration. A sly romantic fantasy, The Devil is a Woman was based on an 1898 Pierre Louys novel, The Woman and the Puppet. 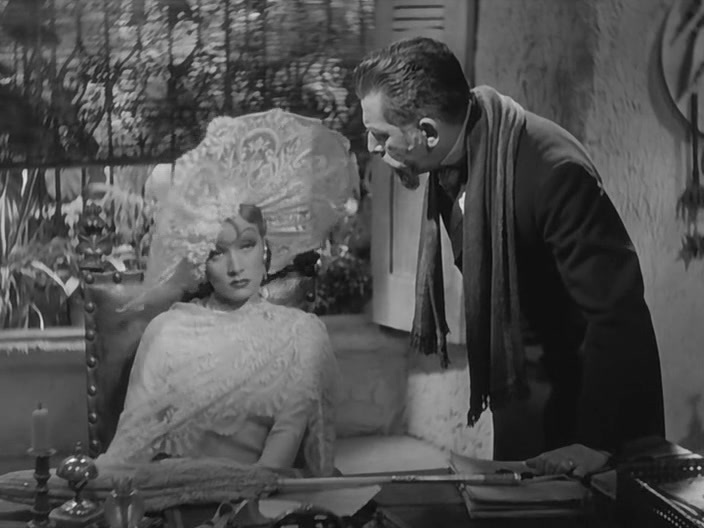 Sternberg planned to title the film Capriccio Espagnol (Spanish Fantasy) and conceived it as his “final tribute to the lady I had seen lean against the wings of a Berlin stage” before he made her a star, as well as “an affectionate salute to Spain and its traditions.” It was Paramount production head Ernst Lubitsch who changed the film’s title, much to the chagrin of its director. 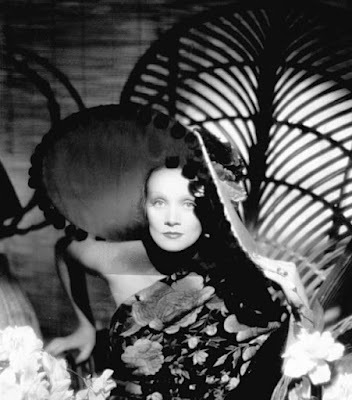 A fantastically costumed and made-up Dietrich portrays Concha, a beautiful but frivolous siren. Concha thoughtlessly torments her older, besotted patron, Don Pasqual (Lionel Atwill), a once respected, now disgraced (thanks to Concha) officer in the military. Arriving on the madly festive scene of Spain’s Carnaval is Antonio (Cesar Romero), a Spanish expatriate and friend of Pasqual. Although Antonio has been warned away from her, a romantic triangle involving Concha and Pasqual inevitably unfolds; it is not the first such triangle for Concha and Pasqual. The Devil is a Woman is a baroque dream of a film that can be interpreted variously, depending on the eye of the beholder. The Spanish government of 1935 beheld an offense. It was convinced that its military was being mocked as were its governmental officials, especially as depicted by Edward Everett Horton in his turn as a bumbling provincial governor. Perhaps it wasn’t so much that Spain took the film too seriously, for this is a film of wry humor, but that the country was on the brink of a brutal three-year civil war and sensitive to even a hint of perceived criticism. The Devil is a Woman was banned in Spain and the Spanish government would go on to make diplomatic complaints to the U.S. that led to the film's swift withdrawal. All prints were thought to have been destroyed, but in 1959 the Venice Film Festival screened Sternberg’s own print to widespread praise. The Devil is a Woman stands today as one of the great Sternberg/Dietrich classics, along with The Blue Angel, Morocco, Shanghai Express (1932) and The Scarlet Empress (1934). Parenthetically, Luis Bunuel would reclaim Sternberg’s source material, The Woman and the Puppet, as the basis for what would be his final film, That Obscure Object of Desire (1977). This film version of Pierre Louys’s tale would be submitted as Spain’s entry in the Best Foreign Language category for the Academy Awards that year; it took the Oscar as well as many other awards. A fascinating look at the political intrigue of Dietrich's career. Amazing to think how she surfed the turmoil of that period and would not be suckered into the Nazi regime. Great post. She was one determined woman, as evidence through her whole career, AND she was from a military family. Thanks, Jacqueline! What a tough and righteous woman Dietrich was, as well as a darn good actress. Great historical background. I think she was underrated as an actress, probably because her onscreen persona was so specific and she did generally play to type. "Witness for the Prosecution" went a long way to show that she had talent and range. I've always admired her tenacity and ability to reinvent herself over the decades. But she was proudest of her work during WWII. Nicely done piece, your Eveship. I've seen Bunuel's That Obscure Object of Desire but The Devil is a Woman is a title that has eluded me. The background on Dietrich's anti-Nazism was also riveting stuff, and I found myself sympathetic to Kurt Gerron's plight (boy, did he back the wrong pony). TY, sir! 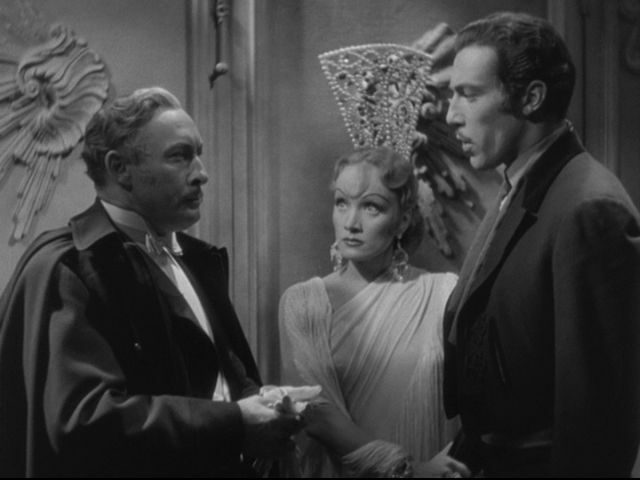 An interesting detail that often comes up about The Devil is a Woman is that Lionel Atwill is a doppelganger for Sternberg in the film. Another bit of sly humor, I imagine. As I understand it Kurt Gerron had fooled himself into believing he could charm his way out of Nazi Germany. Good luck with that. But, perhaps the saddest part of his story is that he was apparently killed the day before Auschwitz closed down its gas chambers. Lovely piece of writing, my friend. Marlene was so much - beautiful, maddening, selfish and sometimes petty, but above all she was a stand-up gal. Another Garbo? Ha! Marlene could never be another anyone but herself. Thank you! Yes, Marlene was all of those things. In the end it's amusing that early on she and Garbo were compared. The only things they seem to have actually had in common were that they were both from Europe, both were gorgeous and both became Hollywood movie stars. Well...they were both pretty independent, too. I can't imagine having to renounce your country, but perhaps it was they who left her behind. What an amazing and laudable life and a career. There's no one else like Marlene, a true woman of her times. She was multi-faceted in the extreme, one of the reasons I admire her. Thanks CW! A thought-provoking piece, Eve. I cannot imagine what it was like to be working in the film industry during that time. Talk about censorship! In Patrick Milligan's book on Fritz Lang, he states that under the Hitler regime, every film was a "state film." As for Marlene, would she have been as big a star have she stayed in Germany? I think not. Her Hollywood classics sealed her status as a cinema icon. Yes, film making under the Third Reich is a very interesting story that I might do a future blog post about - if I can find a perspective interesting enough to offset my aversion to delving into anything Nazi-related. Marlene left Germany at just the right time. I can't think of any actor who stayed in Germany then who later had a big career outside the country. Great article. I learned a lot about Dietrich and the German film industry during the war. Dietrich was such a gutsy lady for refusing to cooperate with the Nazi agenda and she became a legend because of it. Proves the old adage "it's always the right time to do the right thing." Thanks, Amanda. I think Dietrich deserves her fame as much for her work during the war as she does for her films and concert career. Very gutsy, yes. Excellent and fascinating post Lady Eve, with great research. La Dietrich had amazing stores of internal fortitude, she was unique even in Hollywood where hard work was common in order to advance. Her career had so many facets of brilliance. Great subject for the blogathon. I've blogged about Dietrich several times and early on I learned that, as you note, Christian, she had tremendous fortitude as well as an incredible determination to work for what she wanted. She wasn't perfect, but there was much to admire - like spurning the Nazis and putting her fame, talent and money into supporting the Allies and helping those at risk get out of Germany. Great topic, Patty. I love the Dietrich timeline in this important, historic context. You reminded me why I admire her so and taught me a few things about history in the process. Enjoyable, informative read. Thanks! Thanks, Aurora. The primary reason I chose to write about Dietrich because it was an opportunity to address, if only briefly and lightly, fascism and nationalism (and a few other "isms"), which have lately been on the rise. Fantastic piece! I used to enjoy reading about this time of history, but now I often have a bad feeling about the future when I read about Nazi German. Anyway, the ban could easily be predicted, but it for sure was a loss for German filmgoers. Nazi Germany stands as the nadir of civilization in modern history. Hopefully, it's a period that will not be repeated. Thanks, Lê.